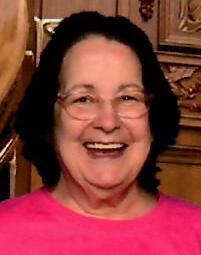 Angela Kaye Keenan, 74, of South Street, Everett, PA; passed away on Thursday, November 29, 2018 at UPMC Presbyterian Hospital, Pittsburgh. She was born on September 30, 1944 in Washington, DC; a daughter of the late Clifton Cecil and Alice Cynthia (Scott) Morrison. She was united in marriage to Norman Paul Keenan. He preceded her in death on August 12, 1999. She is survived by children Brenda Keenan, Salem, WV; Sarah married to Tony Neal, Hyattsville, MD; Bonnie Keenan, Hagerstown, MD; Mary married to Madison Wilson, Everett, PA and Alice married to Ken Grubb, Olympia, WA; a brother Harold Morrison married to Shirley, McArthur, OH; thirteen grandchildren; seven great grandchildren and two great great grandchildren. She was preceded in death by daughter Nancy Ellen Keenan and siblings Margarite Dreyer, Vera Majel Lyles, Cecil Morrison. Angela was of the Christian Faith. She enjoyed reading, crocheting and watching television. A Memorial Service will be held on Wednesday, December 5, 2018 at 11:00 A.M. in the Chapel at Akers Funeral Home, 299 Raystown Road, Everett, PA 15537 with Pastor Mark Mahan officiating. Burial will be held privately at Fort Lincoln Cemetery, Bladensburg, MD.